Ancient Gallo-Roman amphitheatre (not a theatre). 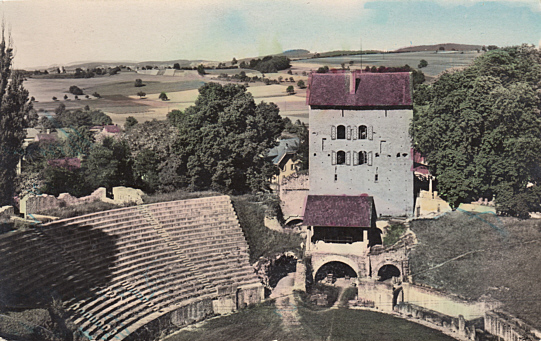 Used for opera performances by the "Festival Avenches Opéra". Reverse Text: "Avenches la Romaine. Musée et Amphithéâtre"